Close up view of man using crowbar and saw to remove rotten wood from leaky roof decking. After removing fascia boards he has discovered that the leak has extended into the beams and decking. Putting a roof over your family’s head is probably the best decision you’ll make in your lifetime – granted the said roof is hazard-free, that is. Together with hidden plumbing and potential electrical issues, roofing problems can plague both old and new houses. That’s why you should examine the rooftop carefully when looking for a place to settle down: if you fail to check the area upstairs, you may see your investment go down the gutters within a few months. Here are top ten roof issues that can cost you a small fortune if not timely detected. If not discovered on time, a leaky roof can punch a bottomless hole in your budget, because it can result it mold growth, ugly ceiling stains, peeling paint, and deterioration of the supporting structure. Drips and trickles caused by rain and melting snow can also damage internal wiring granted time and neglect. Wiring defects caused by roof leaks are both potentially hazardous and extremely costly to repair, so in case you identify a drippy spot up in the attic, take care of it immediately. The most common water entry points in the roofing include faulty flashing, broken or missing shingles, and seam defects. Left unattended, blow-offs, tenting, billowing, and reduced resistance to wind can cause extensive damage to the attic and the rest of the property. These issues can arise due to poor gravel embedment, old age of the roofing, and use of few base sheet fasteners in installation of torch-applied and hot bituminous roofs. If your future home has a single-ply roof, you should have a professional check the shape of the covering and substrate. This problem is fixable, but you definitely need to know about it before you can call the roof your own. In case the roof was installed in a haphazard manner or finishes and covering are worn, the roof may go to bits come first storm or bout of fierce winds. 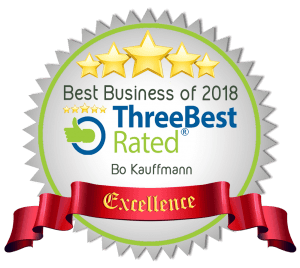 Poor workmanship and DIY repairs staring low-end adhesives, sealants, or inadequate shingle/tile replacements can also reduce the roof’s lifespan, and they are a sign that you may need to overhaul the roof shortly after you move in. When inspecting the roof and attic, don’t forget to check bathroom fittings upstairs: emergency blocked drains repair experts from Sydney say that repairmen sometimes dispose of scrap materials used in roof installation and repair by flushing it down the toilet, which can clog the pipes and damage the bowl. Homes with flat roofs are a fertile ground for ponds, puddles, and pooling water that can linger around the roofing for over 48 hours. Standing water in the roof area can cause ceiling damage, wiring issues, mould and algae development, and it can even compromise the integrity of the supporting structure. 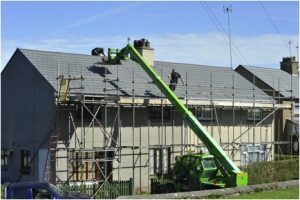 For this reason, you should either opt for a house with a slanted roof or add tapered roof insulation to your newly-acquired dead-level roof (of course, this is the more expensive way to do it). If possible, inspect your home-to-be after rain: if you spot pooling water, see whether the flashing is in proper shape and make sure the gutters and drains are free of dirt and debris. Although the roof is not exactly a high-traffic area, punctures and penetrations can occur up there during installation and repair works. Unless tackled timely, roofing dents, punctures, and cracks may evolve into leaks and membrane problems, and no amount of caulk or sealants will be sufficient once the holes begin to expand due to exposure to the elements. Roofing installation and roof-borne repairs call for observance of strict safety procedures. Use of overheated asphalt or unsafe equipment can cause burns or open flames overhead, which is why proper protection gear should be used during roof inspection and repairs. Also, watch your step when you are walking across the roof: however strong the roof may be, accidental slips and trips do occur, and their results can be nothing short of fatal. When inspecting the roof and attic, don’t forget to check the shape of insulation. If the area directly under the roof isn’t insulated properly, the top floor can feel like a hot plate during summer heats, while low winter temperatures can render the area completely unusable. Insulation checks are especially important for lofts converted into habitable rooms: insulation defects in nurseries, guest rooms, bathrooms, or studios upstairs can cause condensation, mold, and bacterial infestations. Check vents, skylines, windows, and other roof openings: drought is usually a sign of defects which will need to be fixed soon. Many a homeowner has used caulk and low-end sealants to cover up a crack in the roofing. Of course, the final outcome of such ‘clever’ DIY repairs is usually disastrous. 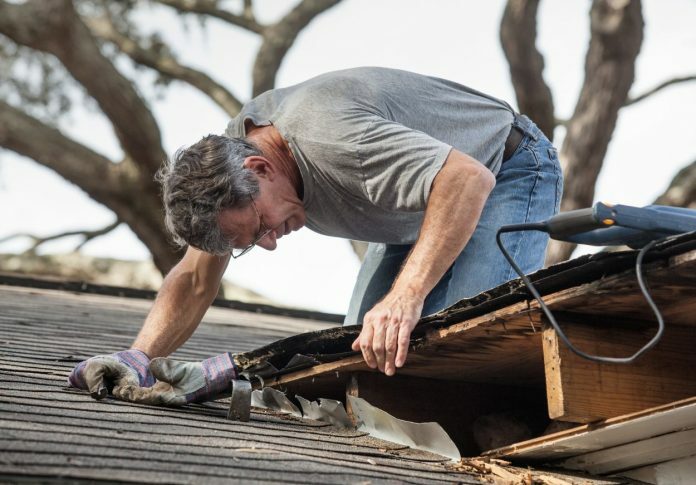 Shoddy repairs and use of inadequate materials can cause permanent damage to the roof, which is why you should have a professional contractor check the area up above and see whether the previous owner went smart on “minor” defects instead of having them properly repaired. Even though few people spend lots of time up on the roof, it still doesn’t mean that you should abandon the area to the mercy of the elements. Without regular maintenance and cleaning, the roof can sprout into an overhead garden, and vegetation on the roofing can cause the shingles to rot and break. Also, debris should be eliminated every once in a while as it can get into the gutters and drains and block them, causing floods or overflows during torrential rains or snow melting. Clogged downpipes, pierced gutters, and ice dams all reduce the functionality of the roof, but fortunately, these can be both prevented and fixed at a reasonable cost. When inspecting your home-to-be, look for signs of gutter and drain damage and have dents and cracks repaired as soon as possible. Mother Nature is a whimsical creature, and you can never know when the next heavy rain may strike. With proper maintenance and regular repairs, a solid roof can last a few generations. If you are buying a place which your children and their children’s children are going to call a home, you should at least make sure the roofing is in proper shape. Need a Great Roofer? Listen and call me! Thanks @Bo Kauffman for that information. Someone may argue and say, what if I change the cedar shake roof every other decade? Despite initially spending double the amount, won’t that person end up spending less in the long run?